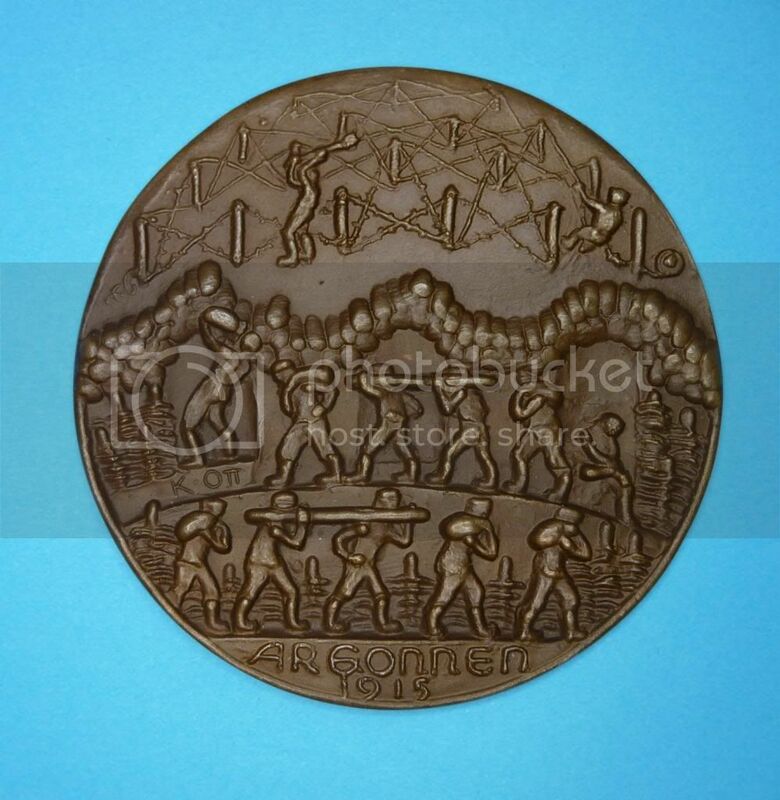 Continuing on a theme this medal shows the extended view of the trench system and the barbed wire forward of the trenches being laid. One soldier is hammering in wire support posts whilst a second one is pulling the wire tight. Even the coil of wire he's using can be seen to the right.